Amongst your to-do list for traveling, watching sunset must be one in the top checkbox. Well, it is just normal because sunset gives you dramatic c=scenery to enjoy. You bask yourself with the warm while the sun gradually setting in the horizon. There are best places to enjoy the sunset such as up in the hill, at the peak of the mountain, in the beaches, and many more. People also enjoy sunset in different ways. Some of them like it to be more private so that they can do a self-reflection or just simply bask the environment without any disturbance. Some others like it to be more joyful where they enjoy watching sunset in a group or within a crowd of people. 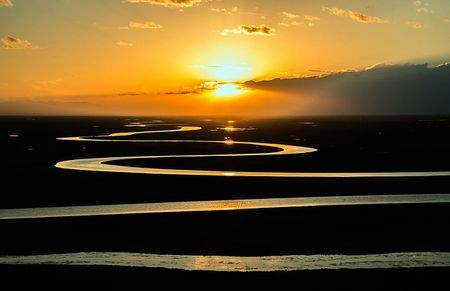 You can choose your own way to enjoy a beautiful sunset. Angkor Wat, Cambodia is home to tropical beaches, rice paddies, remote jungles, etc. Truth be told, Cambodia is a place where the landscapes are diverse. You can enjoy many different things in one go. However, Angkor Wat is also a place where ancient temple ruins are. The best place to watch sunset is by the pond where you can see the reflection of the triple towers of Angkor Wat. Watching the sunset in Angkor Wat, you will feel like looking at the most beautiful painting. Machu Picchu, Peru is one of the most visited travel destination in the world. The beautiful scenic and exotic beauty is enough to draw attention from tourist and travelers alike. The Inca ruins are the most famous attraction that is always crowded with visitors from all over the world. However, people also visit city to witness the grandiose sunset. The best location to watch sunset is by the Intipunku sun gate, where the world’s famous-Inca trail is. Aside from being popular place to enjoy sunset, this city is also a favorite place to welcome sunrise. Since this is one of the most crowded travel destinations, it is highly recommended to visit during low season. Uluru, Australia also has beautiful sunset you will have ever seen. It is one of the most popular landmarks in Australia to witness sunset over the massive sandstone formations. The view resulted from the setting sun is utherwordly. The gradual changes of sunset are truly mesmerizing that you will feel like in the twilight zone. Grand Canyon, Arizona, USA is one of the most iconic places in the world. It has been popular amongst travelers due to its natural yet powerful beauty. The beauty of geological color and erosional forms decorating the canyon is more dramatic during sunset. The blaze orange, rust, and red shadowing the canyon walls perfectly creating scenic view. You can watch sunset at Yaki and Puma Points for more spectacular sunset view. However, it is highly suggested to visit this place during off season since this is one of the most visited travel destinations. Unless you want to share with the crowds, you can visit anytime. Finally, I have a chance to write down about this, the Seminyak villas with private pool in Bali. It is a village where many of the tourists are going to stay and also having some fun. Seminyak is pretty much popular among the local residents as well as the travelers. The village is located near to the beach and also as one of the important Central Business District (CBD) in Bali. There are many types of businesses are running there, from the cheap souvenirs to bring home up to the availability of the various types of accommodations. Of all the accommodations you can reserve when you are in Bali, there’s one choice that is possible to be in your list. 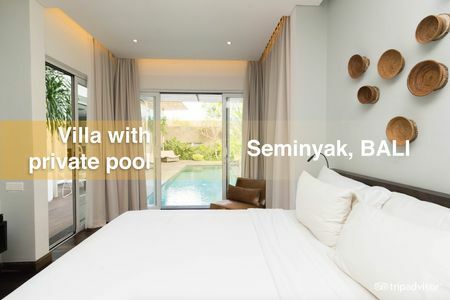 It is the Seminyak villas with private pool that can takes your holiday become more memorable. What do you think about staying in a village that is close enough to the beach? I mean, when you can go to the beach anytime just around 3 minutes by walking, that will be awesome, right? That Seminyak villas with private pool is there for you. 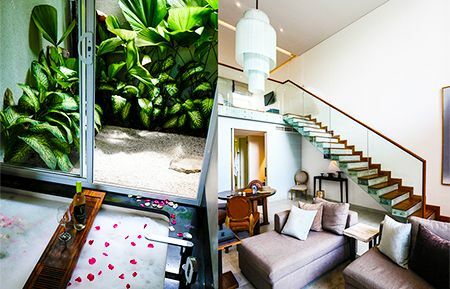 There are four kind of this villas that you can rent based on their own number of bedroom. There will be 1 bedroom loft, the 2 bedrooms villa and the 3 bedrooms penthouse. Those three options have their own uniqueness and advantages, but when we are going any further to talk about them, the last option that even more interesting to know is the interconnected villas. The last choice will allowing you to unite (for example) the 2 bedrooms villa with the penthouse to get the 5 bedrooms villa if you need. And that interconnected concept will be possible get even up to 13 bedroom configurations. Can you imagine how big it will be if you choose your own configuration? For those who are traveling in a big group or many family members and won’t be separated when staying, I think this will be the best option that you can get from a hotel rooms. Anyway, all of those Seminyak villas are provided and managed by the Hu’u Villas Bali and all of them have their own private pool. You can be easier to access the beach and you can always use the pool at anytime you want. Even if you just need the one bedroom loft’s villa, getting a small pool party with your partner and friends can also be the part of enjoying your holidays moment. But if that will be impossible since you may are the solo traveler, simply lay your head down after swimming besides the pool and sunbathing is always the worth thing to experience. Those Seminyak villas with private pool are situated at the hidden gem in Bali. You will even forget about the sound pollution because of their quietness. It is a place for your contemplation and self-meditation right before and after a full day of surrounding Bali. After all the activities you have done in a day, at the end of the day, most of us will need the peaceful spot for clearing our mind and relaxing our body. That’s why the Seminyak villas with private pool will be the great deal for you. Travelling is supposed to be an indulgent for your free time. This is when you get the best of your life and forget about all negativity. For travelling, accommodation is essential and you cannot go travelling without knowing if you will get the best room with the best service. Well, expecting the best service with great amenities is common for travelers. However, sometimes you get the unexpected for example when the staffs of the hotel you booked in show their not so positive attitude or service. It is understandable that you get tired after sitting for hours on the plane to your destination. And when you arrive at your hotel, you become moody and snap at every staff you meet there. Well, some guests may think that being dominant or intimidating will favor them and make the staff obey them. Well, just remember that the staffs are also human and they expect hospitality and friendliness especially when they have to stand and greet every guest that in and out the hotel. Thus, it is highly suggested to show you friendliness and be respectful to them. It will score you positive feedback when you are nice and pleasant. The tipping can be a trigger for bad service the guest receives from the staff. However, tipping is not in control of the staffs but the guests. Thus, you need to know how to tip them and how much you are willing to give. Recommended amount for tipping according to the American Hotel and Lodging Association is $1-5 per night. Tipping your housekeeper is expected when you stay at hotel just like how you tip the waiter in a restaurant. There are some guests who like taking things from their room when they check out. Well, there are things you can take and surely there are things you shouldn’t. You can take minor things like shampoo, notes, pen, etc. However, you will be charged if you take furniture or fixtures including blankets, throw pillows and bathrobe. Thus, make sure to not take anything you are not allowed to or you will face the problem when checking out. It will be unpleasant experience. 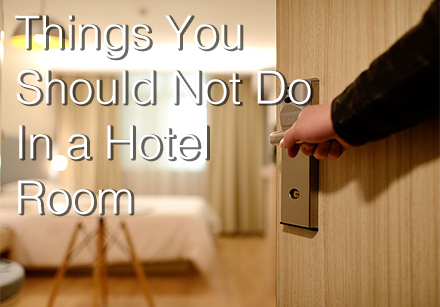 If you happen to receive unpleasant service or other things during your stay, make sure you talk to the staff instead of announcing it on your social media. Address the problem to the staff and make sure they understand so they can fix it. Remember that they are your priority and they will do anything to make you feel safe and comfortable during your stay. Technical problems and human errors are common so talk it out instead of shout it out. Then, you will be appreciated and receive better service in return. I am actually wanted to say that the hammock camping is an affordable leisure for everyone, but I realized that there are also some of us who are unlucky. 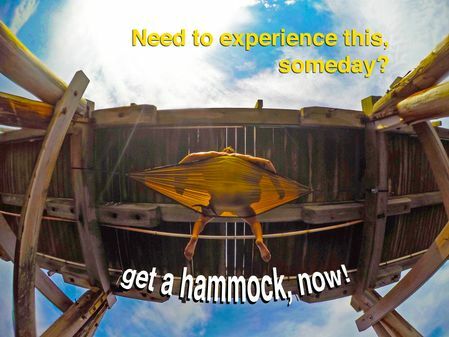 For those of you who have money, at least a job, I think that a hammock is pretty much affordable, right? I am asking you about the hammock itself that is made of parachute and you don’t have to start counting about how much does the hammock tarp or the other accessories and tolls will cost you. I have found that a hammock that most of the users are using it when camping is around $50 – $60, sometimes the price can be more than that and sometimes is possible to be more cheaper. All we need to know is, it is so much affordable knowing that it will really benefits us and can be used for even years. There may some of the advantages that you have known about the hammock camping. It can be our shelter when we are hiking or adventuring, magically is possible to helps us falling asleep quicker, lighter since it will has the weight for around 500 grams or less, and many more that leads us to feel the leisures we have never thought before that we can experienced them. Although you have to tie the hammock camping to the poles or the trees to start using it, i think that learning about how you will do it is really easy. Even you can see many of the guides or tutorials on YouTube for that. Most of the hammock manufacturers are also provide the “how-to” guide for the customers, so you needn’t to worry about it. Hammock camping is one of the fun, useful, and comfortable products you can get related to the travel industry. A pair of adventure shoes may help us to step safer, but when you are tired of walking, then a hammock can take a good care of yourself. It is also one of the sleeping gear that somehow can really be considered as safer because you can avoid the threats from the ground animals if you are camping in the woods or jungle. The threats can really disappear, but you know that you can at least minimalize them. Hanging inside the hammock camping is also the wonderful thing you can get even if you are doing it inside your house. And when you are going outside and go for it, I think that the view can be more beautiful and being seen differently. Surely that can be guaranteed especially if you are planning to the hill or any spots with mesmerizing scenery. The hammock is actually encourages us to exercise. This is one thing that I love about it. If you think that you are the lazy person, try to get a hammock. By doing that, you may will be thinking about going out and walk yourself to the park around the city or to the closer river. It won’t turns you as the diligent person, but again, it is possible to encourages you to do so in case you haven’t someone to motivate you. Last but surely not the least, if you think that hammock camping is only for the kids or the scout, then you are really need to change your mind first. It is because you are also possible to get the adventure as what everybody else have got. It is not just as affordable as it could be, but also there will be more interesting travel and adventure stories will be made in the future. 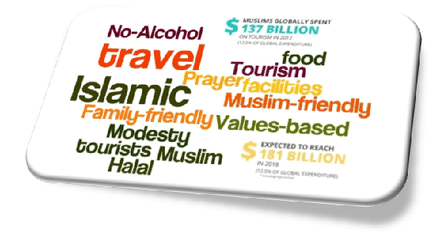 Halal tourism or halal travel has become more and more familiar. This is a subcategory of tourism which focuses more to accommodate Muslim families who abide by the rules of Islam. The number of Muslim tourists and travellers has increased which makes many countries try to attract them by providing halal tourism program. Travelling is for everyone including Muslims. However, traveling isn’t always easy for Muslims since they need to consider the food, prayer, as well as activities which won’t them break the rules of Islam. For example, pork is not included into halal food for Muslims. Therefore, they cannot just eat carelessly without knowing whether or not the meals they order contain pork. Muslims also have their prayer time. Thus, they will need a place which can accommodate their need to prayer such as mosque. It is predicted that the number of Muslim travel will keep increasing in the next four years. When it comes to halal tourism, it means alcohol free environment. Started from the hotel to the flight, halal tourism won’t have alcohol in any aspect. For your information, Turkey is the first country that provides halal hotels for Muslims. This type of halal tourism program doesn’t always exist even in Muslim country so this is something special needed by Muslim travellers. In halal tourism, hotel and beaches are usually separated. Muslims play big role in the economy of a country. That is why the program of halal tourism isn’t always provided by Muslim countries like United Arab Emirates, Turkey, and Malaysia but also Muslim-minority countries such as Japan and South Korea. There are travel destinations in Europe which also provide halal tourism such as London, Spain and Bosnia. Halal airline provides halal foods which alcohol, and pork free. They also provide prayer calls, Qur’an in seat pockets as well as separate section for male and female travellers. This makes Muslims travel easier since what they need is provided following the rules in Islam. Aside from the airlines, halal tourism also include hotel providing halal foods in which the meat comes from animal slaughtered in accordance with the teachings in Islamic Sharia. The foods are also free from any substance forbidden by Islam such as alcohol and pork. The staffs of the hotels are also trained to give service and treat Muslims guests in certain way which won’t violate Islamic sharia. 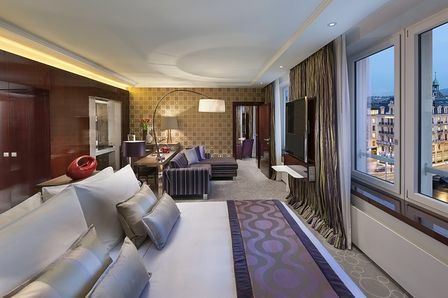 Thus, Muslim guests will be more comfortable while staying in the hotels. Other characteristic of halal tourism includes facilities such as providing swimming pool separating male and female area. For your information, there is Muslim travel standard as reference tool dedicated to Muslim travellers. the standard is divided into a rating scale form one to seven. Those rating scales are made based on the amenities and services. Those include the availability of qibla direction, alcohol policies, prayer carpets, as well as halal-certified food. With the hype of halal tourism program, Muslims all around the world have more chances to enjoy their travel comfortably. Cambodia is a country located in Southeast Asia. There are many travel destination desired by travellers around the world. Most of them are natural and adventurous destinations. One of a must-visit places when visiting Cambodia is Phnom Penh. It is not as metropolis as Bangkok in Thailand because Phnom Penh is more down to earth. However, this s a great destination for travellers who don’t want to experience over-crowded place to have fun. There are many things you can do in Phnom Penh but it is recommended to find out more about Cambodia before visiting. You will need to present valid passport and a Cambodian visa. You can get your visa before visiting the country or on your arrival. You can choose according to your convenience. If you don’t have much time for preparation, you can also apply for a Cambodia e-visa online where you can complete the online application and pay with your credit card. Next, you need to know Cambodia customs regulations. If you are 18 years old or older, you are permitted to bring 200 cigarettes, one opened bottle of liquor, and perfumer for personal use. You are not allowed to bring antiques or Buddhist reliquaries out of the country. It is highly recommended to take health precautions before visiting the place. Recommended shot to take before visiting Cambodia is malaria prophylaxis. You need to ask advice from your doctor to take necessary shots to prevent from typhoid, cholera, tetanus, polio, etc. Official currency of Cambodia is the Riel. You can change the currency before visiting. Remember that you will need more cash than credit card when travelling to Cambodia since not a lot of places accept major credit cards. It is highly recommended to be careful especially in the nighttime. Don’t stray off the known paths. It is recommended to hire a guide if you want to travel around places in Cambodia to make sure that you are safe. Shopping is a must when you visit Phnom Penh especially jewelry shopping. You can go for it at the Central Market. This traditional market is a great place to buy precious stones, metals, as well as jewelry. Aside from the good stuffs available in the market, the interior is also distinctive. You can enjoy Art Deco fusion style in this market. Royal Palace in Phnom Penh is also a must visit. This place is open for visitors. You can go visiting the Silver Pagoda and the Moonlight Pavilion. 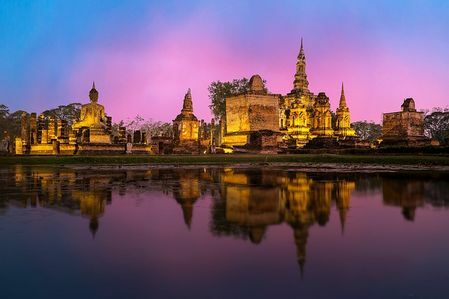 It is recommended to visit the Royal Palace at night. You can also spend your time relaxing near the river and enjoy the sunset. You can also go a cruise boat to enjoy the river more. You will sail past traditional fishing villages, as well as Phnom Penh Skyline. It is recommended to visit this place in the late afternoon. Have you ever heard about the Hu’u Villas Bali before? It is one of the best luxury villas providers in Bali that specially located at the special area called as Seminyak. Seminyak is a village but there are many of the tourists are staying there as if it is the centre of the island. In tourism sector, Seminyak is actually one of the main important area in Bali. The location is strategic where you can easy to go anywhere to the popular destinations, there are various public buildings, beaches are also easy to access and you are possible to stay at where the local people are around you. In short if you are staying in the luxury villas Seminyak owned and ran by the above provider, you are the lucky one. That will be the perfect choice you have ever made in choosing the travel accommodation. 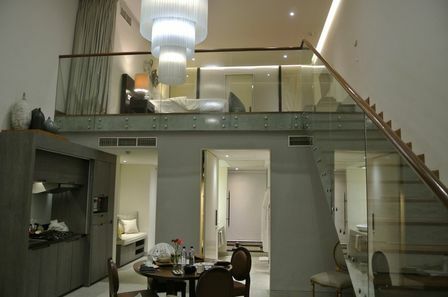 There are some of the luxury villas Seminyak you can get depending on the numbers of the bedrooms. The lowest number of the bedroom is 1 and you will be sleep on the second floor (loft) while its private pool will be under the balcony on the front. The highest numbers of bedrooms is 13. This luxury villas Seminyak is also applied the interconnected bedroom so there will be various number of the bedroom’s configurations. 13 bedrooms as maximum. The other standard villas are the 2 bedrooms villa and the 3 bedrooms penthouse. 1, 2 and 3 bedrooms as the regular packages but you can also get the special offers such as discount and the various services. If you will ask me about who will be the best to rent this luxury villas, then there will be 3 people. The villas are perfect for the couples and honeymooners, for family vacation and the last one is for those who are travelling in a group for certain event or occasion. At the above first paragraph, I have told you about the superiority of the Seminyak village. And when it needs to talk about your temporary stay in the luxury villas at the same village, then you can also experience the same benefits. You know what, the beach is only within the walking distance. How far you’d like to reaches the beach? I think that the longest will only need about 5 minutes. There are also the restaurant provided by the villas management and the bight club if you want to party every night. There won’t be a chance for you to get bored in Seminyak, Bali. Those two facilities will be great for all the guests since there will be the special privilege for they who are renting the luxury villas. I don’t exactly know about what actually you will looking for in the other luxury villas at Seminyak or other accommodations, but thinking about all what you are possible to get and experience, one of the above villas will be all you need in your trip in Bali as a couple or family. I can’t give you an example of the luxury hotel room that you’re also possible to reserves. But if I will comparing it with the luxury villas amenities at Seminyak, hotel room will be the thing you won’t need any longer. It will less in amenities and facilities, and the price can also be more expensive.